Not content in just inspiring on the football pitch, Stanley players are inspiring young pupils off the pitch too. Accrington Stanley Community Trust coaches are visiting a handful of pupils at St Marys Oswaldtwistle to encourage them to read more. The six week programme will see the selected pupils work with our coaches to read programme articles, player profiles and match reports. They will be encouraged to write match reports using descriptive language to show how a better description of an event can make an article or report more appealing to the reader. Towards the end of the project they will be putting together their own mock tv interview, taking what they have learnt in previously weeks. 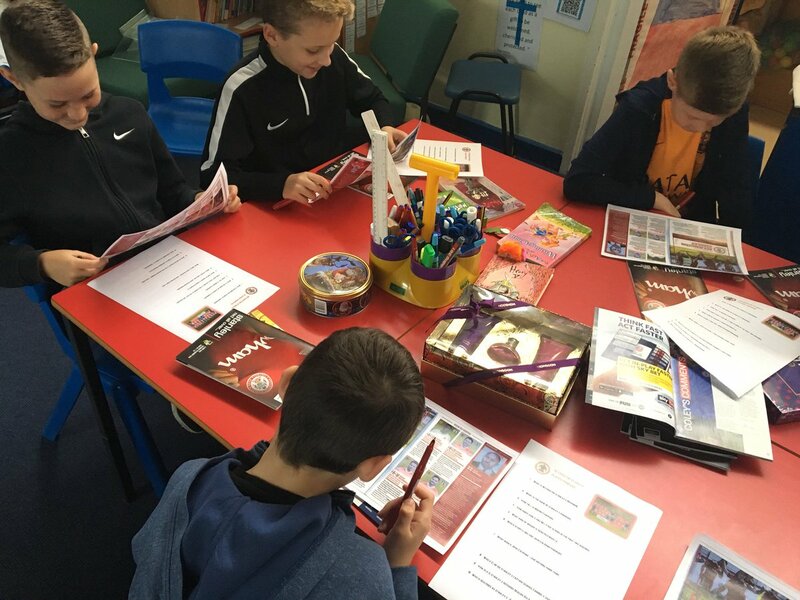 As part of the Premier League Primary Stars programme, this project aims to use sports to encourage and show students that don’t want to read in their free time to read using the power of sports. Using sport as a tool to help literacy levels is a great way to convey that in every walk of life literacy is a key feature. The Primary Stars programme is designed to inspired children that are in primary schools using the appeal of sports while linking in with the curriculum. The programme covers not only sport but literacy, maths and PSHE at KS1 and KS2 levels. At the end of the project the students will receive a free Accrington Stanley gift and certificate.